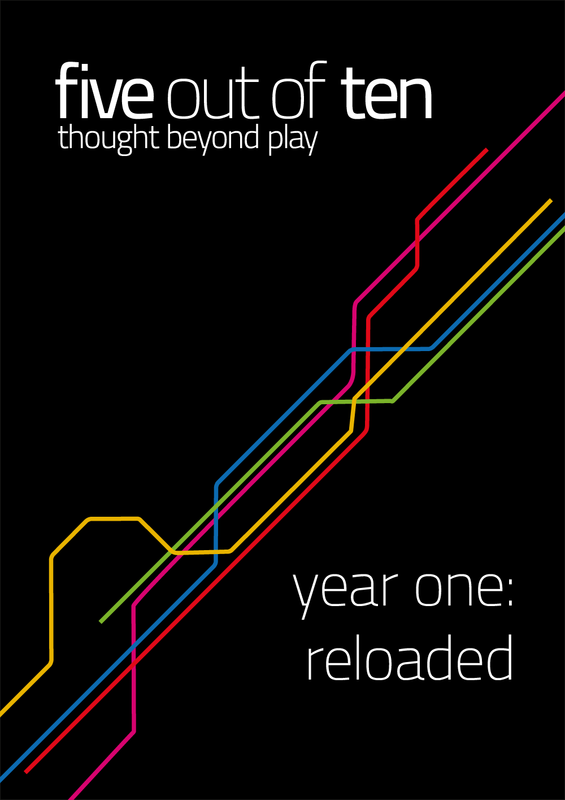 Five out of Ten: Year One Reloaded comprises the first five issues of Five out of Ten – New Horizons, Players Guide, Reflecting Reality, Storytellers, and Mind Games – lovingly remastered with a new design. Enjoy fifty outstanding essays that refine videogame writing: investigative journalism, personal experiences, childlike wonder and adult encounters. Featuring work from: Samantha Allen, Bill Coberly, Denis Farr, Brendan Keogh, Cameron Kunzelman, Rick Lane, Kris Ligman, Robbie Pickles, Lana Polansky, Marc Price, Ed Smith, Oscar Strik, Jordan Erica Webber, Julian Williams, Katie Williams, Craig Wilson and Alan Williamson. Your purchase contains a collector’s edition Year One PDF, MOBI and ePUB. Click the buttons below to download a preview of each issue before you buy the collection. Our first issue, New Horizons, is available for free in its entirety.